MMST: Subclinical Success or Fulminant Failure? The Indian Institute of Technology, Kharagpur, runs a School of Medical Science and Technology which offers a 3 year training followed by a degree called Master in Medical Science and Technology (MMST). Now, it was started in 2001 and a decade has elapsed since its inception, but the course is yet to attract the attention of majority of the medical school pass outs. In this post, I will try to examine the reasons for the same. To be honest, any course looks as good as its marketing. The IIT branding is definitely a major USP for the MMST but since it is very poorly known in the medical student community, its demand is low. The attitude that its IIT, so its bound to be great does not extend to the biomedical/biomedicomechanical sciences yet, so people are skeptical since poor marketing means there is a poor corpus of information around the course. 2. No Idols/Role Models from the MMST Clans! As medical students, we grow up looking up to and admiring our stethoscope brandishing professors. For the ones who are less clinically oriented, the cerebral acrobatics of Biochemistry bosses or med-detective work of the Forensic dudes is greatly seductive. Whatever we see in the (nearly) 6 years of medical school, we come to identify and idolize. 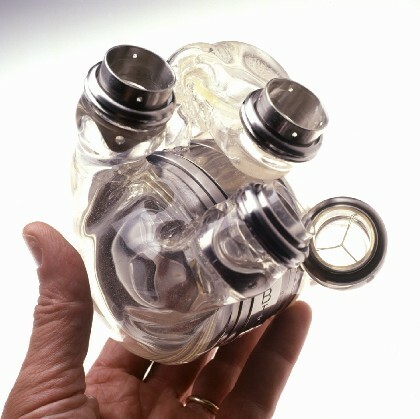 We never see an MMST guy waxing eloquent on developing a total artificial heart. Bloody cool ideas they work on there, but within a cocoon so elaborately woven that the “mainstream” medical students remain completely unaware of the same. This spawns the question what after MMST, which is my next line of argument. The general conception in the Indian medical student psyche is that if one is to do basic science research or applied biomedical research, the best option is the GRE. Take it, ace it, skip the shores. I kind of see the point in it. I mean what better place to learn research than THE US of A, right? The fact that we do not see too many MMST guys around us but a lot of post GRE fellows thriving, pushes us towards the other side. We need to know what the prospects are. And not just theoretically. Show us the blogs of these MMST people. Lead us to them on Facebook. Show us where their papers are published. Then, I’m sure this apathy will fall. The media is hardly worth believing most of the time they criticize our education system because of the negative hyperbole they tend to engage in. But the reports that I have come across over time, even if moderated, do not show the SMST in kind light. The lack of trained physicians, rather clinicians, in the faculty does not inspire much confidence in the students. It is headed by Profs from other engineering branches, with loaned doctors on the faculty, who are mostly there on a part time basis. It is just conjecture, but, these sound to me like the IIT treating the SMST in a step motherly fashion. We all know how there are wheels within wheels in college and we really never get out of high school all our lives long. I have heard from people who have “visited” the course that the MMST students of medical origin are often treated as second class citizens in the batch. And that is quite understandable. With 6 years elapsed, we hardly remember any basic sciences and medical school is remarkable for its ability to numb, nay, destroy our analytical neurons and make us basic science morons. So, the climb is difficult for an incoming MBBS student. This brings me to the next point: The entrance examination! The entrance test to MMST takes into account Physics, Chemistry, Biological Sciences and MATHEMATICS. Now most of us went into medicine because we sucked at Maths and hence were forced to love Biology. Or whatever. But the bottomline is we sucked at Maths, barring a few rare exceptions. And exceptions, as we all know, prove the law! So, its quite natural that medical students abhor the idea of taking a test where they have to go through the nightmarish rigors of the unholy Trifecta of Physics-Chemistry-Maths, which they thought they had left behind for good with their entry into medical school! On a more serious note, this examination, while an excellent aid to assess the suitability of a student for bioengineering or biomechanical training, is an absolute hypocrisy. I mean, come on, you call the department School of Medical Science and Technology, so come on and give the Medical guys the preference. As it stands now, most of the trainees are Biological science grads and rarely doctors. And so it will stand until the examination slims down and falls in line with a more medically oriented curriculum. I hear the trainees are paid a monthly retainer of Rs. 15,000. Oh c’mon. Who’re you kidding here? In West Bengal, interns are paid close to Rs. 14,000 a month. In Delhi, a house staff gets Rs. 50,000 a month. In the central institutes (like AIIMS, PGI), Surgery residents get close to Rs. 60,000 a month. A simple MBBS graduate with working experience in an Intensive Care Unit may get as much as Rs. 200/hour in the private clinics in Mumbai. You really think that they’d settle for Rs. 15,000 a month? This course probably has the highest attrition rates of any post graduate medically oriented course in India! With so many people falling out every year, there has to be something or the other wring with it! As many as 20% of the batch may be whittled away by the end of the 2nd year of the course, if the words on the street are to be believed! This course is so radically non-clinical that it is most definitely a turn off for many medical students, who entered medical school with dreams of becoming doctors. Come on, it is best to face the truth. And the ugly truth is that it is really rare that anyone comes in with the aim of becoming a non-clinical researcher. In the pre and para clinical subjects taught in the medical schools at a post graduate level, people get to work in a clinical setting, working the bedside from the bench, and that, in my opinion, is a surrogate fulfilment of their desire to be in medicine itself. There may not be direct patient interaction, but there is definitely a clinical edge which satisfies the egotistic urge of every doctor to be a clinician! Somehow, I do not see that psychological satisfaction coming from working in a sterile lab which is miles away from a real patient. Most medical students do not have the maturity to deal with the concept of total and complete divorce from the clinical side of the story. Many final year students swear that once they cross the hurdle of Final MBBS, they are done with the clinics for good, only to reverse it when they are interns and experience the thrill of working with patients (I am a living, typing, example of this type!). It is unlikely that they will be drawn to the course as long as it does not introduce a clinical side to the story. With the MD/MS/Diploma courses of career charted out since times immemorial, one often equates the newness of a course as a risky future, and with a lot of reasons too. In a nation such as India, where bureaucracy and red tapism are the norms rather than the exception, solely doing research for a career, that too from a completely non clinical Institute, is a big risk. Lots of questions are unanswered, or worse, poorly answered. (Going off topic for a bit here: I believe that it is better for a question to be unanswered than to be poorly answered! A poorly answered question may scare away a potential candidate who might have made a great answer had he attempted to find the question unanswered!) Job prospects are ill defined. Funding sources are few and far apart in India just as it is. And they are mostly monopolized by students with a background in basic science research. And after the MMST course gets done, one becomes a clinical cripple, more or less. Keeping all of these aspects in mind, taking the plunge in the MMST course sure does seem a foolhardy decision. In another post sometime later, I will try to come up with a few strategies to make the course work out better, in the long term, if not in the immediate future. I would not even dare to venture that I, a rookie in the medical education field, would know more than the erudite scholars who sit atop the ivory towers of decision making palaces in India regarding these matters, but it will be just a personal observation to see what can be done to give this situation a little symptomatic treatment! What do you think? Would you go for it? Tags: IIT, IIT-Kgp, Medical Research, Medicine, Medicine in IIT, MMST, SMST. Bookmark the permalink. Have you considered fields like public health and epidemiology? I wish I knew! 🙂 There is a serious dearth of good information about life post-MMST! I know that among the passed out students of 2008-2011 batch, one is doing his PhD in Reproductive Medicine in Harvard School of Medicine and one is pursuing PhD in Biostatistics in John Hopkins School of Medicine. I also know about Chetan Mittal, who is currently the Head of Medical affairs for Philips Healthcare. The latter passed out in 2006, if I am not wrong. Excellent! We need more information like this to come out and take the course to the people! Actually the career of the third one seems to have taken some benefit from MBA too and the former two ones owes everything to MMST and IIT. MMST IIT KHARAGPUR, SOME VALUABLE QUOTES TO MMST ASPIRANTS..
Hi friends there was an enlightening post before in RXPG..It was deleted shortly..I got it online from a MMST aspirant,who stored the whole data before it was deleted from rxpg to confirm its authenticity from officials .That guy told me that he contacted IIT students,mmst alumini to know the reality.I haven’t edited it..am presenting this for the whole students..U guys can confirm its authenticity from MMSTians or IIT faculties itself. This post doesn’t belong to me. I wrote this blog,cz i myself being an mmst aspirant wanted answer for many many queries.There may b many students who dont hav any source of info.This is for them..
a. MMST is not the right course if you have any, even if small clinical interest. b. It seems the faculty their is of the opinion that the students who enter there have no other option and have come here, and also that they are clinically incompetent. Which is actually not the case. c. Dr. Sangeeta Das who is a Johns Hopkins MD is not in IIT Kharagpur for more than 6 months, and she was one of the two doctors in the department. d. Almost all the students are frustrated there. e. Most of the faculty (other than doctors) have very poor knowledge of medicine (there are exceptions) and teach MMST students their half baked knowledge. Many faculty are into research and guide PhD students that they dont have much time for MMST students. He also said that the course is not too packed and that they get a lot of free time in a day , but get frustrated as their is no good work to do. Joining labs it seems is a option, but not many interesting projects are going on it seems. And that they have to work with existing PhD students if they join the labs, most of them are being Jealous of MMST students, or hating them. Only handful of PhD students are said to be in good terms with MMST students. he said he can give more info some time later, as he cant talk much at the moment..
f. Many courses are boring it seems and time waste, kept and running for name sake. It seems that their is not much of practical or hands on learning like we do in clinics. Its like they sit for classes from morning 8 to evening 5 or even 6 p.m. By the time they come to final year, It seems they forget a lot of things learnt in first year, as theoritical knowledge does not last long. More over it seems the companies people trained in hands on learning than who have listened to classes. It is like many students who go to good places for PhD do it by their own effort and vision, not just by the virtue of the course. but they make use of the course and work hard. He said it is not a cakewalk, like you finish a medical PG and join a hospital etc..
g. Generally there is a bad perception among engineers and existing faculty about doctors. h. It seems, there is a hospital attached to IIT where MMST students are supposed to work in evening time. Most of patients are said to be students, with cough and cold and that most of the students have a very bad impression about the hospital in the campus, as a student had died few years back in the hospital, which had become a big issue. i. The clinical knowledge goes down in with a short t half, that by the time one passes out of course, it is difficult to even practice as a GP. j. The institute runs department just for the sake of it. The stipend paid is Rs. 15000 which is very poor for a MBBS graduate. We get better stipend during MBBS internships in many places. The fee is said to be about 27000 Rs. per semester. It seems, that they have spoken to the authorities regarding stipend, but nothing have turned so far. He also indicated that once the stipend is increased to the level of MD/MS, it might be a good time to go. Increase in stipend may indicate that the authorities are favoring the course. He also said that it is difficult to expect from the existing administration, as their main focus is on undergraduate students. It is said that jobs are not easy to get after the course, as many companies so not know of the existence of such a course all. h. Each semester lasts for 4 months, and there are 2 semesters per year. There is one month break in December and about 10 week break in summer. During this time, students can take projects it seems. They also have advantage of applying to internships in India and abroad it seems. But information is poorly available to the first year student it seems. i. The proposed IIT hospital is still in paper it seems. He said it would take atleast 5 years more if things go fast. But in West Bengal it is difficult for fast paced government projects. j. He suggested me to write GRE and TOEFL in case I am very much interested in biomedical, Bioengineering, Physician training program and apply for PhD programs abroad, like MIT, Johns Hopkins etc.. He said that I may need some publications and recommendation letters and to work for it. One way is said to join a institute where research projects are going on and get publications. Even after MMST one cant get a post in any research institute easily it seems. and not at all in a government institute. PhD is necessary. So why waste 3 years in a ill structured poorly functioning course. Get some research experience by working for a year and apply for PhD abroad. In abroad the PhD stipend varies from 2500-3000 USD in US, and about 1000 Euros in Europe it seems. with this one can save some 10- 30 thousand in Indian currency. For PhD he said I must search and find my area of interest, which is supposed to take lot of time of reading and learning from wikipedia, free online courses like coursera , IIT lecture videos in engineering in youtube etc.. He also said that other than NIMHANS, nobody pay well for PhD students more than 40,000 Rs. Hence going for PhD abroad is better. And that although somewhat difficult it is lot lot better to directly enter a PhD than do MMST and then PhD. He said that immediately after MMST, the best salary package (including HRA, Insurance, PPF, PF, etc..) is about 10-11 lac per year, which a MBBS doctor can earn easily after 3 years of experience. not a very good incentive for all the trouble taken. h. He also told me that if I am interested in management side, better to go for MBA, after cracking CAT. i. For public health, he told if I cant crack entrance, better to Join MPH courses abroad, although some money might be needed initially. It seems we can earn it back / find sponsors somehow. For doctors with any clinical interest, he said better to GP than waste 3 years of life in a alien area for doctors. hearing all this, I decided not to waste time writing entrance. he also told me another fact : few students quit the courses in first semester itself. so although there are 15 seats, less than 10 students are their in each batch. But M.tech is taken by engineers after 4 years of B.E or B.tech , we after 5 and half years of MBBS, there no point in joining a 3 year course where Doctors are treated badly. In fact he said, the teachers tell MMST students about the ongoing research or their projects only when the students ask / find details. he was emphasizing that good faculty are also frustrated with the system and they have fought enough and now mind their own work rather then trying to change the system. It seems lot of politics in the IIT system itself. About stipend, He told that for the past 4 batches , they were told that stipend would increase but has not increased so far. It is like the administration is bothered in admission time and after joining MMST student is not given importance at all. He also told me to contact the people in company and in PhD programs after MMST to get a better idea, If I am still not convinced about the program. Another thing he told. One of the main reason why such a pathetic course is running is that The department gets funds and is existing as such as it has doctors in it. and that the IIT uses the doctors in training tag when it wants funds from the government hiding all the other facts. I guess this information should be used for confirmation from MMSTians itself…I guess this post satisfies all the needy queries.